It´s that time of the year again when we all start to get excited about the Christmas party season or, if we are having to organize the Christmas party, begin to panic! 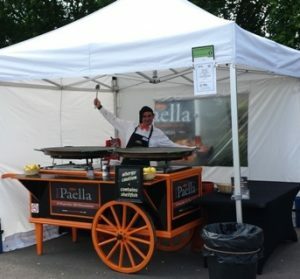 One thing is for sure and that’s if your having to put a large party together and you need to provide great quality hot food that’s healthy and has the real party “vibe”, then Your Paella is the answer. 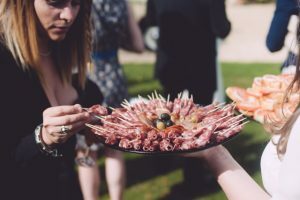 OK, sure there are a lot of options out there but with prices from only £8.50 a head and having the meal cooked in front of all your party-goers proves this is a great choice! If you´re not sure what or who Your Paella is you can get all the information if you click here. So, now we have taken the headache out of finding the catering, what next? You are going to need some kind of music and, depending on the budget, maybe live entertainment. It´s not very difficult to find a good DJ these days so no real problem with that. As for hiring professional entertainers, google is of course a great place to search. 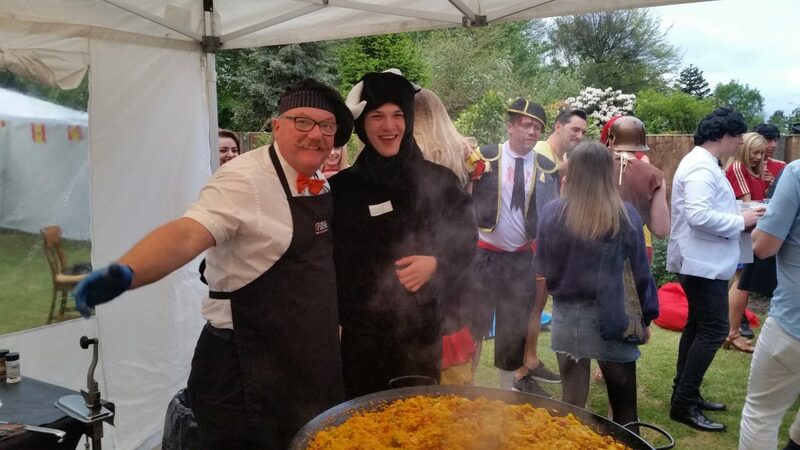 We have cooked Your Paella at a variety of large corporate parties and have seen some very good entertainers; from fire eaters, to a human hedge! Yes that’s right!..a person who looked just like a hedge… until they moved and made everyone around them jump with fright and then laugh with relief. We have also seen fantastic dancers on very high stilts at an M.O.D Black Tie Gala. The great thing about the entertainers at the M.O.D Gala was that they performed many different acts and changed often so the guests were always kept entertained. Another good idea is to hire a Magician. The type that can do the close and personal type of magic. Some of the best entertainment we have seen is the type that interacts closely with the guests, performing to small groups at a time and then moving onto the next small group. You really don’t need to have a huge party to hire some entertainers and they really make the world of difference! We are sure you will put the perfect party together, but if you would like to ask us any questions, please do. We are always happy to help. https://www.yourpaella.co.uk/wp-content/uploads/2012/11/20170506_194232.jpg 2988 5312 Gary Evans https://www.yourpaella.co.uk/wp-content/uploads/2019/01/logotrans1-300x106-300x106.png Gary Evans2012-11-17 15:40:372017-06-01 17:09:30Party time!